Thank you Synchrony Financial for your support!!! 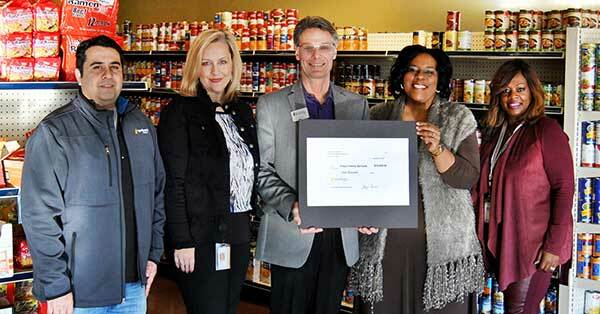 Erika, La Toneau, and Rudy from Synchrony Financial delivered a generous donation check to Frisco Family Services and toured the food pantry to see how their contribution will help support those in crisis in our communities. Thanks to their support we are able to help our clients avoid hunger and homelessness. COMMUNITY BEGINS WITH CARING.